Mitsubishi is one of the most recognized and valued brands in the world. They’ve done more than any other VRF manufacturer in the Americas to build awareness for Variable Refrigerant Flow HVAC technology. In fact, for more than 30 years, Mitsubishi Electric Cooling & Heating has been a leader in residential VRF solutions in the United States thanks to their Mr. Slim systems. They continue to lead the industry in advancing VRF technology for commercial and residential applications. Mitsubishi Electric Cooling & Heating systems have been used to solve complex HVAC challenges in a vast array of building types, in every corner of the world and in extreme climates. Mitsubishi has the innovation, vision and know-how to create HVAC solutions for almost any application. With their broad product line-up, you can design the solution that meets your specific needs. Global Leadership – Mitsubishi has been a leader in residential VRF solutions in the United States for 30 years and continues to lead the industry in advancing VRF technology for commercial and residential applications. System Superiority – The Multi-Zone is the world’s first and only two-pipe, simultaneous cooling and heating system, which reduces complexity, time and cost of installation and allows for fewer refrigerant and electrical connections. Building Integration & Control – The CMCN (CITY MULTI controls network) manages operation, monitoring, scheduling (daily, weekly, yearly) error email, personal browser, tenant billing and maintenance diagnostic information. Environmental Stewardship – Mitsubishi was also the first HVAC company to eliminate the use of lead and mercury in its products. Additionally, they voluntarily switched an entire product line to environmentally friendly R-410A refrigerant. 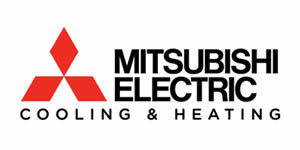 Industry Leading Support & Tools – Mitsubishi Electric Cooling & Heating offers training, a network of distributors and contractors and systems that are easy to manage and control. VRF moves refrigerant to the zone to be heated or cooled, allowing the temperature of that zone to be more precisely controlled – can simultaneously cool some zones while heating other zones or only provide comfort control to zones that are in use. Variable Refrigerant Flow (VRF) zoning is an energy-efficient method of providing precise comfort control to indoor environments. VRF offers a wide variety of applications – everything from spot-cooling or -heating a single room in a home (using a split-ductless system) to a large commercial building with multiple floors and areas (that require individual comfort control delivered by a split-zoning system). The Multi-Zone is the world’s first and only two-pipe, simultaneous cooling and heating system. The two-pipe system reduces complexity, time and cost of installation and allows for fewer refrigerant and electrical connections. You can also install ductless or ducted systems depending on your needs and building configuration. System controllers provide a wide variety of configuration settings to satisfy each zone’s requirements, including temperature control and timer settings. System flexibility allows you to easily add, change or remove zones in the system and takes into account the diversity of usage, occupancy or solar gain parameters of your work or living space. INVERTER technology is highly responsive and efficient, providing a more consistent environment and wiser use of energy, since you rarely use the compressor at full power, avoiding repetitive on and off. The CMCN (CITY MULTI controls network) manages up to 2,000 indoor units from a single networked PC. The CMCN sets and monitors operation, mode, temperature, fan speed and airflow direction and even includes an operating schedule that’s tailored to the needs of the people and the building. The network manages operation, monitoring, scheduling (daily, weekly, yearly) error email, personal browser, tenant billing and maintenance diagnostic information. There are a variety of remote controllers and timers to satisfy the exact level of tenant control on a zone-by-zone basis, while providing the ultimate in individualized control. You can also integrate CMCN with a Building Management System (BMS) using LonWorks or BACnet® for collective control of all building systems. Mitsubishi Electric Cooling & Heating is a corporate member of the U.S. Green Building Council (USGBC) and is committed to sustainable products and design. They were the first company to introduce the VRF solution into the United States and the first to embrace RoHS standards. Mitsubishi Electric Cooling & Heating was also the first HVAC company to eliminate the use of lead and mercury in its products. Additionally, they voluntarily switched an entire product line to environmentally friendly R410A refrigerant. This innovation means higher pressure for greater performance and a reduction in equipment size and piping size. CITY MULTI technology is designed to allow building owners and designers as many possibilities to attain LEED® points including Energy and Atmosphere and Indoor Air Quality points. All Mitsubishi Electric Cooling & Heating products follow standards and guidelines as set forth by the ENERGY STAR®, EPA, ARI, ASHRAE, UL, ETL and ISO. There’s more efficient use of energy with INVERTER technology and zoning and smaller, more recyclable units. As much as 89.8 percent of the materials used to build a standard CITY MULTI system component are recyclable. Intelligent indoor units feature advanced electronic expansion valve technology, which allows for the precise amount of heating and cooling to be delivered to each zone’s load at any given time, day or night. VRF and smaller split systems save energy, while providing a high degree of comfort, through their zoning capabilities. Zones or rooms can be designed to exact needs, taking into account occupancy, solar gain parameters, and, in the case of VRF systems, diversity of usage. Intelligent indoor units have sensors to measure room air temperature at the return, or if the design requires it, air temperature can be measured at a remote thermostat. The ability to choose the measurement location allows for better air temperature management, maintaining the set point within 1 degree Fahrenheit (half of a degree Celsius). Some split and VRF system indoor units feature an i-see™ sensor accessory, which senses and compares air and floor temperatures, and then adjusts vane direction as needed to optimize the comfort within the space. Also, each indoor unit features linear expansion valves to ensure the precise amount of refrigerant is delivered to the zone. Mitsubishi Electric Cooling & Heating VRF and split systems with multiple indoor (air-handling) evaporator units connected to an outdoor compressor unit can deliver just the right amount of refrigerant to precisely meet each zone’s load. Indoor units can be controlled to operate only in those occupied areas that need conditioning; indoor units in vacant areas can be turned off. By conditioning only the occupied areas, heating or cooling capacity is not wasted. HVAC systems are sized depending on the cooling and heating peak loads of the building; the combined capacity of the indoor units can match, exceed, or be lower than the capacity of the connected outdoor unit. INVERTER-driven VRF systems can be designed and sized on a zone-by-zone basis to adjust for a building’s solar gain and the changing seasons. And, depending on the system selected, up to 50 indoor units can be connected to each outdoor unit, producing a total applied capacity of up to 150% of the outdoor unit’s rated capacity. Certain VRF systems feature simultaneous cooling and heating. Also called heat recovery, these systems enhance the capabilities of zoning technology considerably by using a branch circuit (BC) controller to control energy. The BC controller can remove energy from one zone that doesn’t need it, and apply it to a different zone that does. For example, if an indoor unit in one room is calling for cooling and an indoor unit in another room is calling for heating, the BC controller can take the heat removed from the room operating in cooling and use it to warm the room in heating mode. The BC controller performs all the work, bypassing the compressor unit and saving electricity. The compressor and evaporator components are housed in separate units in CITY MULTI and Mr. Slim systems-a design feature that provides the quietest possible operation for both indoor and outdoor environments. Mr. Slim and CITY MULTI indoor and outdoor units are ideal for applications where quiet is a necessity-libraries, places of worship, lecture halls, classrooms, bedrooms, living rooms, home theaters, and more. Sound pressure levels on Mr. Slim indoor evaporator units range from 19 dB(A) at low speed to 49 dB(A) at high speed; sound pressure levels on CITY MULTI indoor evaporator units range from 22 dB(A) at low speed to 47 dB(A) at high speed. Compare those decibel levels to standard indoor sound levels, which are generally between 45 and 55 dB(A). Mr. Slim and CITY MULTI indoor units emit similar sound levels you’d expect from a whisper, the inside of a library, or the rustling of leaves in secluded woods. And the great variety of indoor unit styles gives you greater flexibility in deciding on the style, from wall mounted to ceiling concealed, to further minimize any unwanted sound. Mr. Slim and CITY MULTI outdoor compressor units are also quiet-operating from 50 dB(A) (small capacity Mr. Slim compressor units) to about 65 dB(A) (for the larger CITY MULTI modular units). Special care has been taken in the design of the outdoor units to compartmentalize the compressor so that sound is reduced at the source. Specially designed blades and multi-speed motors also reduce system operation sound. The low sound levels allow these outdoor compressor units to be installed near windows, on balconies or near rooftop amenities, giving you back usable space and minimizing disruption to your environment. Gain more usable space to achieve your architectural vision! Designed to minimize visual and auditory impact on the environment, Mitsubishi Electric Cooling & Heating VRF and split system components are compact, lightweight, and can be installed in smaller spaces both indoors and out. Line-Hide™ lineset cover system products give a professional finish to refrigerant lines, camouflaging the piping into your exterior environment, or are paintable to match the color of the building’s exterior. And, the indoor units are available in a variety of styles to blend with your interior design.